Today I'm sharing the work and writing of author and delighted to say friend, Erin McHugh. 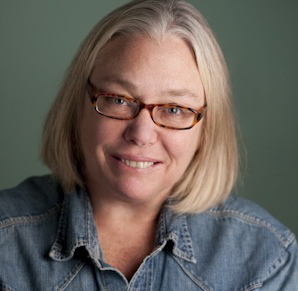 She is a former publishing executive and author of twenty books, including the snarky midterm elections volume COFFEE, TEA OR KOOL-AID: Which Party Politics Are You Swallowing?, and THE L LIFE: Extraordinary Lesbians Making a Difference, a photo essay on lesbian heroines. She lives in New York City and South Dartmouth, Massachusetts. Her latest book One Good Deed came from her personal odyssey to blog about doing exactly that. It's a wonderful read, makes you not only feel good, but makes you think about what you can do to make our chaotic world a bit more on the thoughtful side. I wrote about Erin's blog when she was at day 265. You can read that post here. Follow Erin McHugh on Facebook or on Twitter as @ErinHere. you can imagine my surprise when I read Erin's Post of September 26th. She posts a photocopy of the addressed letter I sent her from Abiquiu, NM where I was visiting. I had taken her book with me and wanted to let her know how much I enjoyed it. But I couldn't remember the exact details of her address and so off I went to the small post office and chatted with the postmaster. She looked at my envelope and it's incomplete address, and highlighted the strange address, highlighted my note to the carrier in NYC, apologizing for not having the correct address and then to add emphasis, she drew a heart around it. I returned to NYC to discover not only did Erin receive it but I was happily the mention of September 26th blog on One Good Deed. and yet again I was mentioned on One Good Deed blog as I had connected with Erin and told her about how the letter came to be addressed.